The Philippines' professional basketball league has banned former NBA player Ivan Johnson for life after he cursed at its commissioner during a game, a spokesman said Sunday. Johnson, who plays with local team Talk 'N Text Tropang Texters, was banned mid-game after he used "the F-word" in an argument with Philippine Basketball Association (PBA) commissioner Chito Narvasa, said PBA media officer Willie Marcial. Talk 'N Text were playing the Meralco Bolts on Saturday when Johnson was ejected for two technical fouls. However an angry Johnson contested this, Marcial told AFP. "That is when he stood up. He was told to calm down. But that was when he said the F-word and that is to a commissioner, the highest official of the PBA," Marcial recalled. Narvasa then convened a technical committee at the game's halftime and had Johnson banned and fined 250,000 pesos ($5,600) even before the game was over, said Marcial. Foreign imports are highly-valued in the basketball-crazy Philippines where they can play a dominant role in the highly-competitive PBA. But Johnson, 31, had already been in trouble, having previously been suspended for one game earlier this month for fighting with players of an opposing team. The six-foot, eight-inch (two metre)-tall power forward was previously banned for life by the Korean Basketball League in 2010 for making an obscene gesture at a referee and also had a controversial career in the NBA. 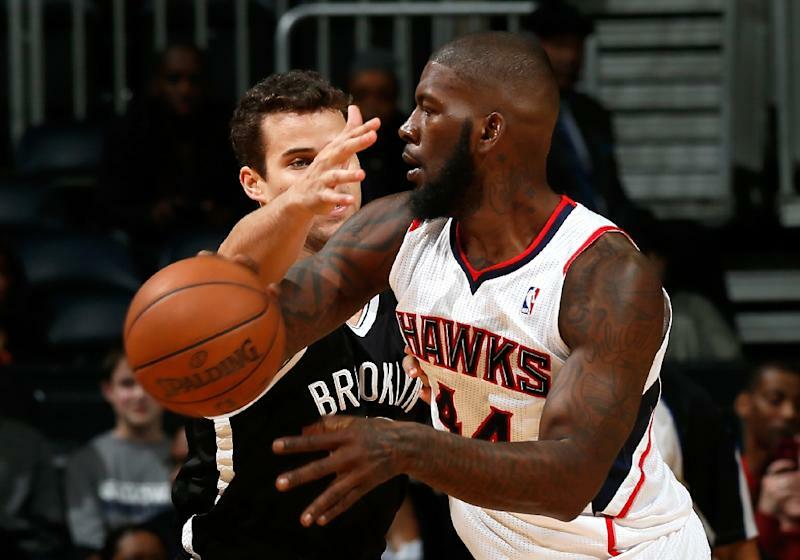 Johnson, who played with the Atlanta Hawks from 2011-2013, was initially defiant over his latest ban, posting "the devil is working overtime," and "what's the hate against me?" on his Twitter account. But he later appeared contrite, apologising to Narvasa and his fans for the incident. "Maybe he should reflect on what happened. Maybe he should undergo anger management. It is a shame. He is a good player," said Marcial. Many fans expressed shock and anger over the speedy decision. "Banned for life in the PBA...Without due process from the PBA commissioner's office? My goodness," one angry fan tweeted. Ex-New York Knicks and Denver Nuggets player Renaldo Balkman was banned and fined by the PBA after he choked a teammate in 2013.